I don’t usually perform my own work. For one thing, I don’t claim to be an actor. But mostly, I want to see how my work, well, works — and it’s hard to do that when you’re doing it. 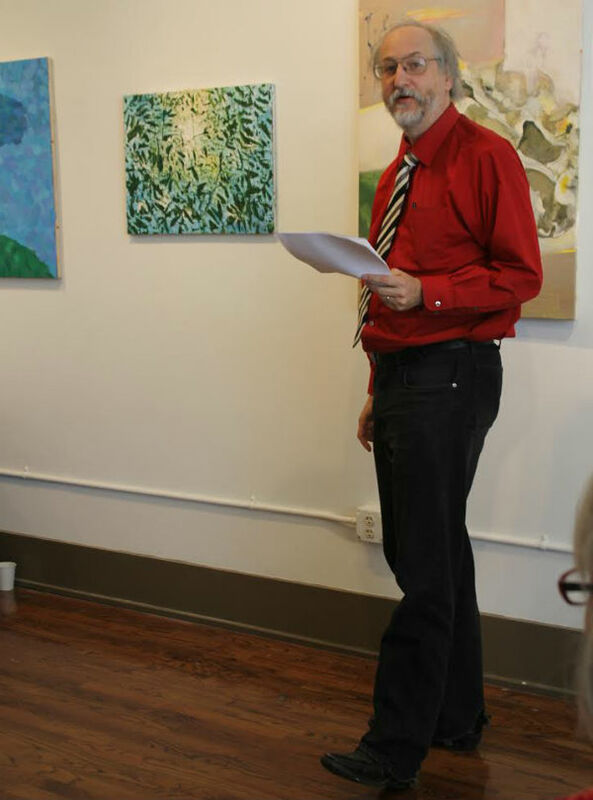 However, this month’s theme at the monthly readings at the Liminal gallery in Roanoke was “Anything Goes,” so why not. Heather Yvonne Brush took this photo of me performing THE LONGEST HOME RUN EVER, one of my many short pieces about baseball. Based on actual science, the explanation of the longest home run possible. Cast: One, non-gender. Running time: Five minutes. This entry was posted on May 21, 2014, 11:16 pm and is filed under News, Photos, Uncategorized. You can follow any responses to this entry through RSS 2.0. You can leave a response, or trackback from your own site.